It was terrifying and exciting. For the first time in my life, I traveled abroad. Everything was new. Every experience was something to look forward to. I didn’t have to think about writing news stories, checking scripts or going live in a couple of hours. All I had to worry about was my outfit for the next day and where to find good food. I’m 25 and it was the first time I got out of my home country, the Philippines. I was scared because I was going to three different countries in Indochina — Vietnam, Cambodia and Thailand. It scared me further that at the airport, I almost never made it out of the immigration counter. I forgot my company ID and how the officer took his sweet time questioning my motives why I’m leaving. First stop: Ho Chi Minh City, Vietnam (formerly known as Saigon). Budget: P3,000 to P4,300+ / US$70-100. Have them converted to Vietnamese Dong at the airport. I have a back problem (spondylylosis) but I still brought a big backpack. I packed everything I thought I needed with a little extra just in case. It proved to be a mistake because it was inconvenient to move around with a lot of luggage. Upon arrival past midnight, my friends and I left our bags at the apartment so we could immediately eat. Our choices were already limited at this hour but we found an open eatery by the street. I wasn’t exactly a fan of Pho or Vietnamese food. But when I tasted the real deal, I couldn’t stop eating. The food in Vietnam usually had strong spices. I would always have a runny nose after every meal, but it was all worth it. The eatery had what appeared to be strips of chili pepper. It was so spicy that two strips were enough to make my tongue burn. 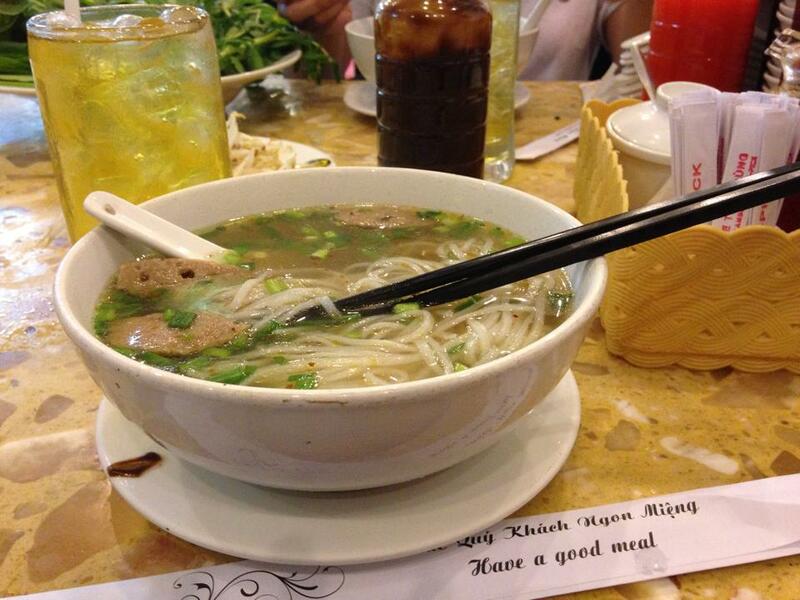 Vietnamese eateries normally have large servings as well. After our first meal, a friend and I decided to share the rest of our meals because a single serving would be enough for us. We also visited the War Remnants Museum. This place gave a clear depiction of the harsh and oppressive realities in Vietnam during its wars. Imperialists from France and the United States of America started wars of aggression in Vietnam, not for self-defense but for territorial gain. I was a college activist who went against USA imperialism and oppression. 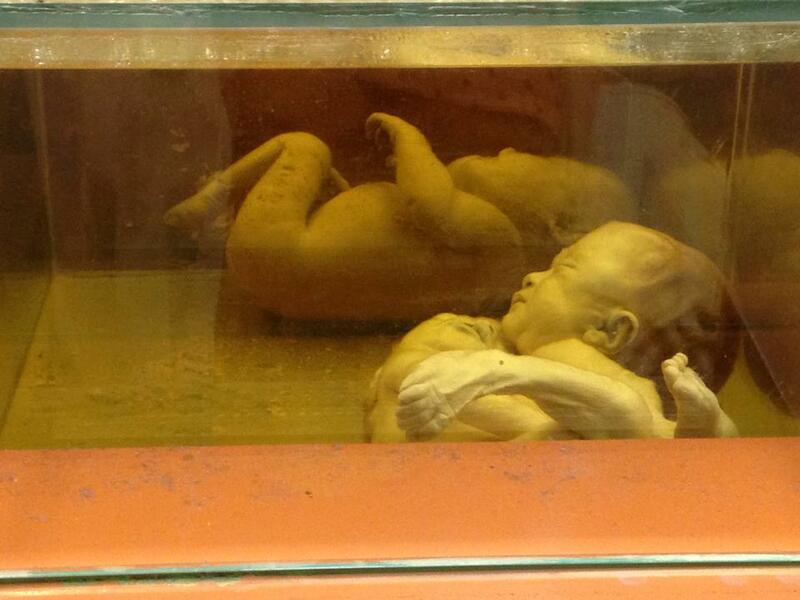 Emotions such as grief, anger and shock overwhelmed me when I saw the exhibits in the museum. These atrocities happened just a couple of years before my generation. But the Vietnamese has a proud history of triumph against superpowers who dare to trample upon the sovereignty of smaller nations. The Vietnam Liberation Army succeeded in driving away the imperialist forces. How I wish the same can be said in the Philippines. I know someday it will be possible. My friends and I took a bicycle tour of Ho Chi Minh City. We visited the famous Saigon Central Post Office. Its neoclassical architectural style came from the Magician of Iron — civil engineer and architect Gustave Eiffel. You probably know the tower named after him in Paris, France. I also caught a glimpse of the Saigon Opera House and the Saigon Notre-Dame Cathedral. Second stop: Siem Reap, Cambodia. Budget: P4,300+ / US$100. You do not have to convert your money to local currency. Note: Upon arrival here, we bought tickets for our next bus ride to Bangkok, Thailand. 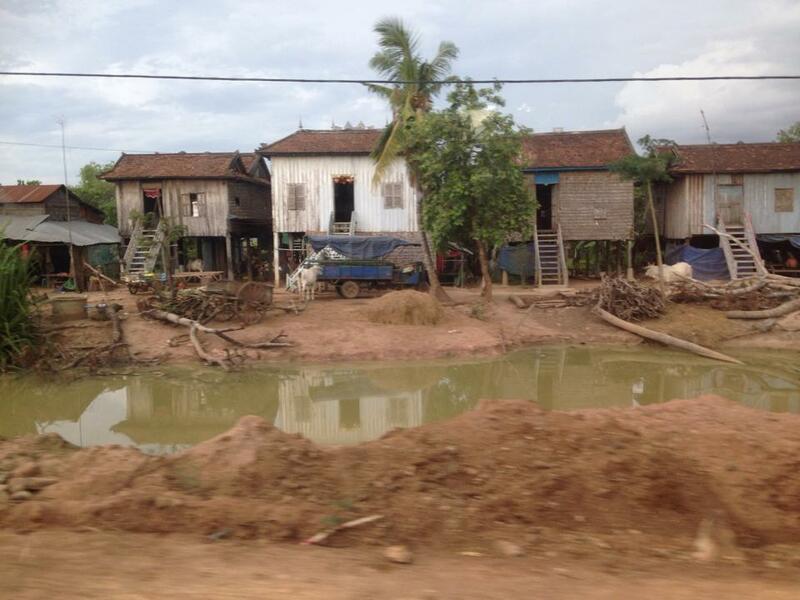 It took us about 16 hours to travel from Vietnam to Siem Reap, Cambodia by bus. Our original plan was to travel at night. But since the tickets ran out, we had no choice but to ride in the morning. It’s important to book your bus rides in advance so everything will go right according to schedule. Even while you’re still in the Philippines, you can seek the help of your hotel for coordination. I was asleep for most of the trip. When I woke up, I saw rural communities that reminded me of my home in Batangas. 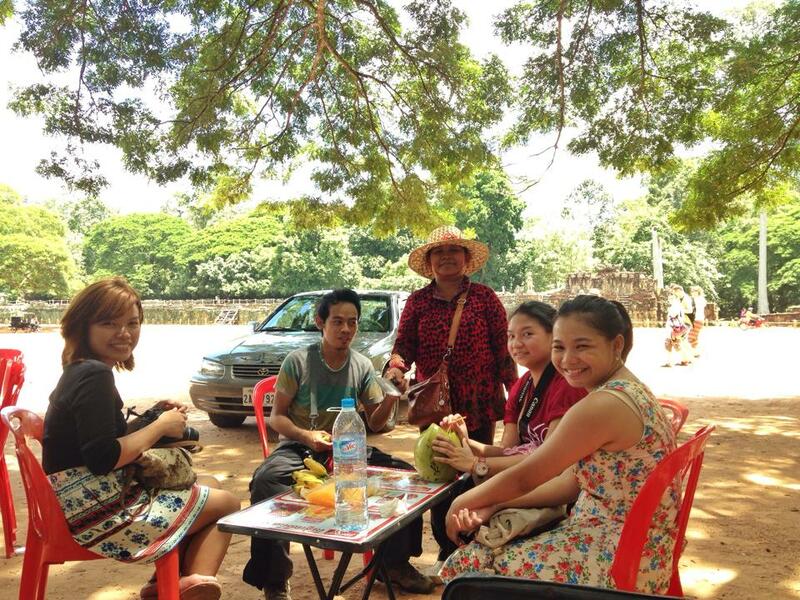 Siem Reap was a different experience altogether. When we arrived here, its night life is bustling because of the FIFA World Cup. Tourists from various countries cheered and jeered as their football superstars battled it out. The streets were brimming with people singing and dancing wildly at the height of intoxication. There were drunk party animals struggling to stand at the side of the curb. We even chanced upon one who couldn’t stand at all. The night may be young but we had to leave early. Of course before we left, we downed the signature brew of Siem Reap — the Angkor Beer! We skipped the night life for an early morning spectacle in the ruins of the Angkor Wat. During the 12th century under the Khmer Empire, this was part of the largest city in the world. Other monuments in the complex include Angkor Thom, Bayon Temple, Preah Khan, and Ta Prohm. We left the hotel before sunrise. Waking up early was worth it because every angle of the Angkor Wat was picture perfect. According to one of the locals, flooding is usual in the temple grounds. We were in the middle of a forested area after all. Luckily at the time of our visit, the downpour stopped. I was not able to take a lot of photos. I guess I wanted to take all the view in. I wanted to read the display captions and to know more about the history behind the ruins. The design of the temples were intricate and ornately designed, telling the stories of the Mahabharata, the reign of Kings, and other notable events in the Khmer Empire. Final stop: Bangkok, Thailand. Budget: P6,000+ / US$140. Have them converted to Thai Baht. After all our tours in Cambodia, we rode a 2:30am bus ride to Bangkok, Thailand. Because of my work as a head writer of the newscast State of the Nation with Jessica Soho, I know that Bangkok is under martial law since May 19, 2014. The Thai Military is in charge after the political turmoil involving deposed Prime Minister Yingluck Shinawatra. But the martial law in Bangkok is different from the dictatorial martial law we experienced in the Philippines during the time of the late strongman President Ferdinand Marcos. There were no soldiers or tanks in the streets. People also looked very calm and went about their normal lives. It was business as usual for the Thai economy. Tourists like me are still welcome. 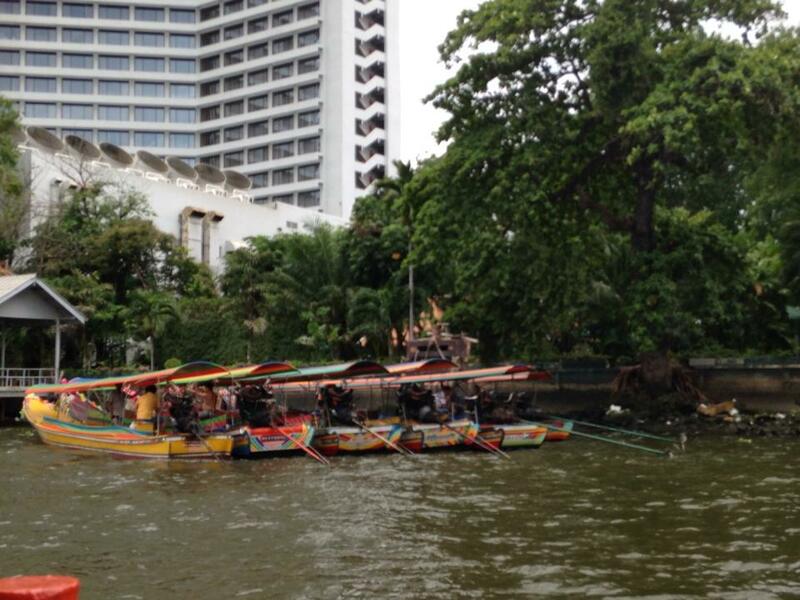 My friends and I took a river cruise to get to the popular temples in Bangkok. Wat Pho is one of the oldest temple in Bangkok. Did you know that this is the birth place of Thai traditional massage? In 1962, a school opened inside the temple, focusing on traditional medicine and massage. There are also over a thousand Buddha statues inside Wat Pho. This temple is also one of the biggest in Bangkok. 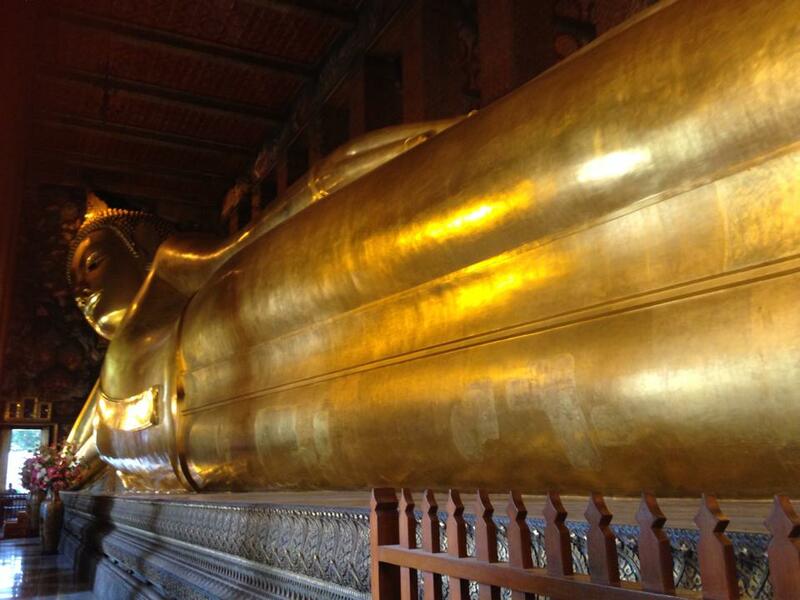 I guess the temple needs all that size and space for the famous Reclining Buddha! It is 15 meters tall and 46 meters long. There are also 108 bronze bowls surrounding the statue to represent the 108 characters of the Buddha. Dropping coins in these bowls is a popular custom for good fortune. It also helps the monks maintain the temple. At the heart of Bangkok is the Grand Palace. This has been the official residence of the Kings of Siam since 1782. But in Thailand, absolute monarchy ended in 1932. Presently, the monarch of Thailand is King Bhumibol Adulyadej (Rama IX). He no longer lives in the Grand Palace but in the Chitralada Palace. My visit in the Grand Palace cost me 500 baht. 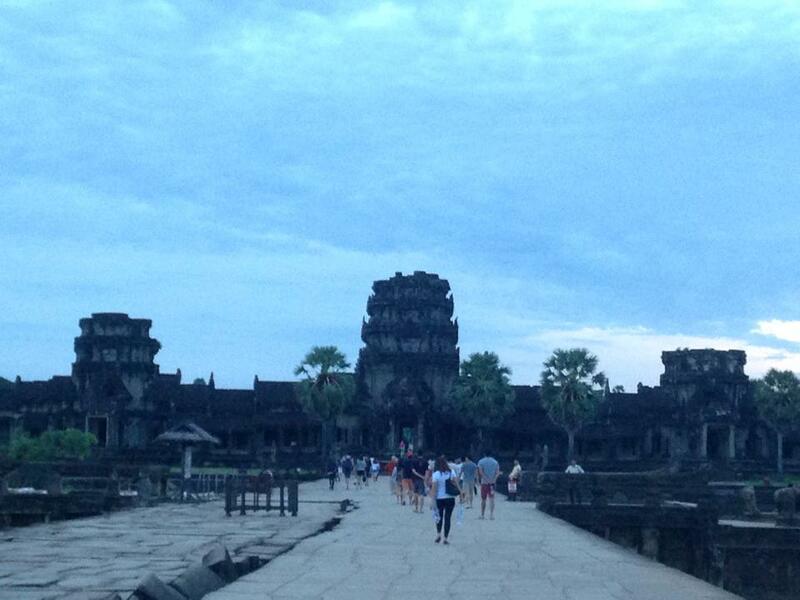 But I think it was worth it because it is a huge complex with temples, museums and relics. This is still the spiritual center of Thailand so there are strict guidelines for what guests can wear. Aside from the temples and tourist spots, I looked forward to shopping in Bangkok. 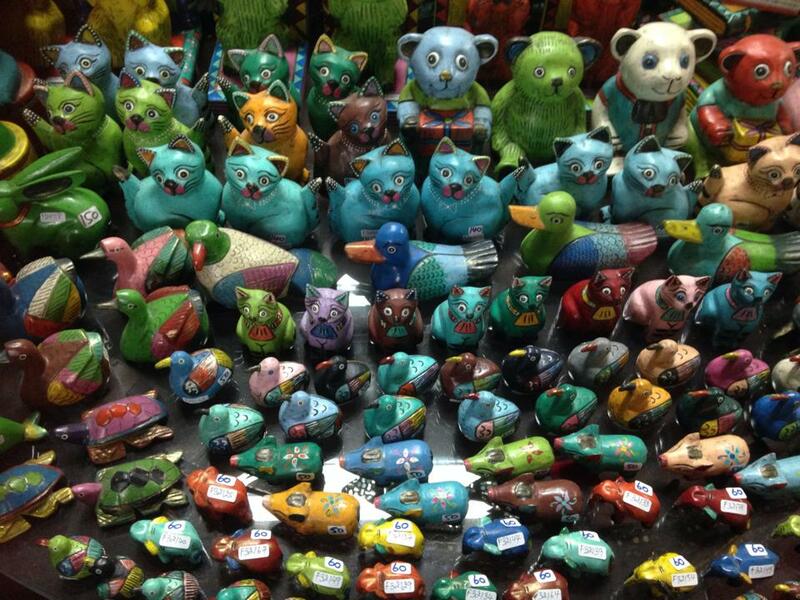 There was a night market with very low prices similar to Tutuban and Divisoria in the Philippines. Vendors are prepared for haggling customers so make sure to ask for the best bargains. Even the bookstores had unique covers for best sellers. There was a baking book I considered buying but decided otherwise because there was no English translation.There are also specialty stores with a great selection of souvenirs. Similar to Vietnamese food, Thai dishes have strong spices! 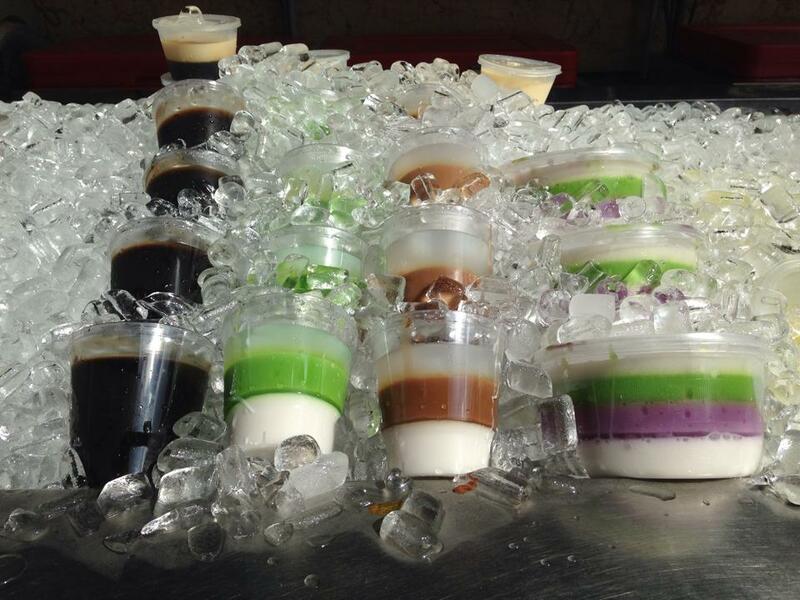 My personal favorite is sticky rice worth 5 baht in the streets. We stayed in Bangkok for four days. My friends and I decided to live in tourist dormitories or hostels with shared bathrooms and common areas. 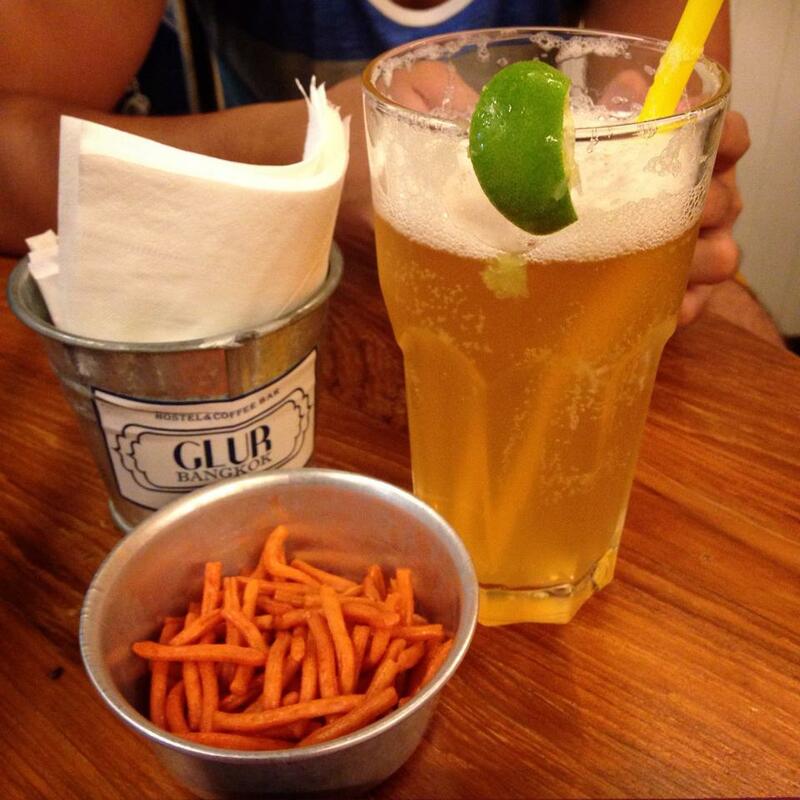 Our experience with Glur Bangkok Hostel is memorable. Their facilities are clean and their service is efficient. They also had free breakfast, available for the entire day. 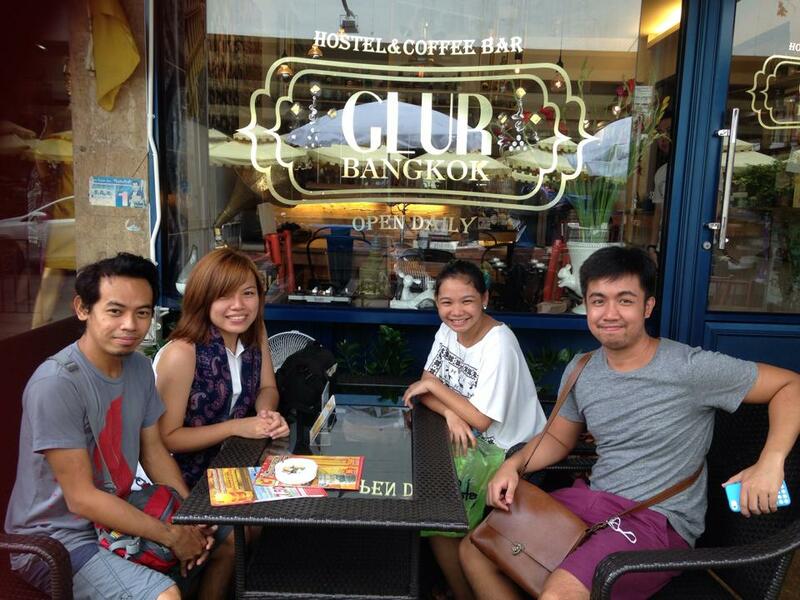 Hostels are not only cost efficient, they also provide opportunities to meet new friends. During our stay, most of the tourists would greet us even if we just came across them in the hallways or stairs. The entire trip cost me around P27,000 but what I paid for is the wealth of experience and information I’ll take home with me. Vietnam reminded me of the importance of protecting national sovereignty. 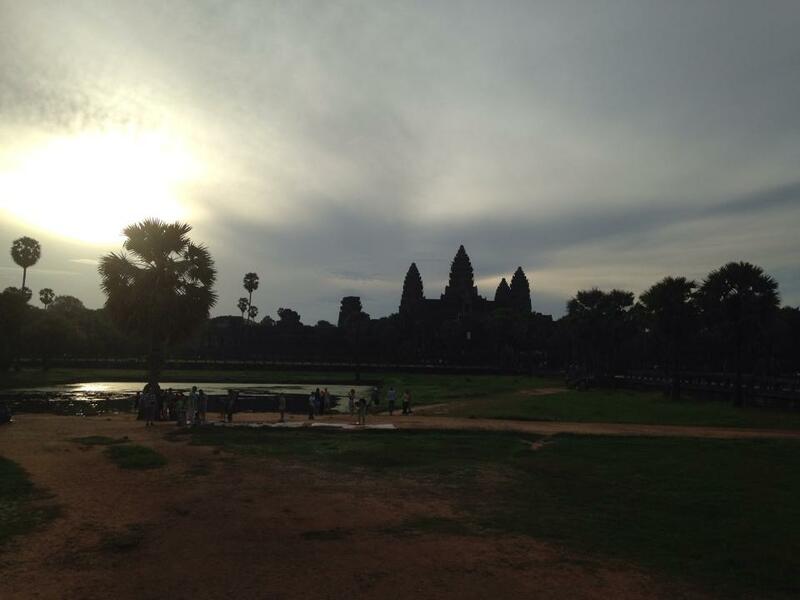 Cambodia taught me we are capable of grand achievements through the legacy of Angkor Wat. Thailand impressed me with its disciplined path to progress. In terms of natural resources, the Philippines can contend with all three nations in the Indochina region. But why are other countries more progressive? Although I am no economic expert, I believe it is important that they are providing more opportunities for their own people and industries — instead of focusing on exports and imports. All these lessons I took in during my last day in Indochina with a final serving of honey beer. I just hope the wisdom sticks like a hangover. Be very careful with your belongings. A friend lost almost P8,000 during the entire trip. Book your accommodations in advance. We booked ours through AirBnB. The accommodations there are cheaper than hotels. But from experience, they are actually better. Have an itinerary and follow it as much as possible. But it is just as important that you come up with a realistic IT. Avoid riding a cab or taxi. Just spend the money for food or shopping. Take the train or other forms of public transportation. It also pays to walk. You may even stumble upon good cafes and shops along the way. Just be careful and don’t stray into dark and dangerous places. Take pictures to remember your adventures. But do not let this get in the way of learning or immersing in the local culture. Edma Remillano is the Manager for Advocacies for SubSelfie.com. She is also a News Writer for State of the Nation with Jessica Soho. More importantly, she is the owner of Edma’s Homemade Cupcakes. Life is what we make of it, or so she says. Journalism 2010, UP Diliman. Read more of her articles here. What a cute little attempt at travel. Why don’t you try and get out of Asia? There’s nothing to see there. this will be considered in planning for my first international trip… someday, sooner than I think.